It's the one day of the year devoted purely to love. Valentines Day Poems from the special collections of My Word Wizard will inspire you with romantic sentiments and words that express how much you really care about someone. Whether it's that special love interest, a friend or family, here you'll find just the right thought for this lovely occasion. Perhaps we ought to treat our loved ones every day to the same kind of attention they receive on this special day. Alas, we don't always have the inclination or the time, despite our best intentions. When you think about it, and not withstanding its religious origins, this is the only holiday devoted to a human emotion. Love. We can't think of a better way to express this emotion than by reading some special thoughts specifically relating to love. Even if you're alone on Cupid's special holiday, here you will find amorous words that will comfort you and help keep a smile on your face. A Poem for Somebody Special: We are proud to feature a wonderful poem by a talented young writer in the My Word Wizard community. It was written specially for her mom. Her words are so tender that we believe that many of you will find inspiration in them as you gather your own thoughts for Valentine's Day. We wish you a lovely holiday. Dark Love Poetry: Sometimes emotions becomes so intense that they cross the line into obsession. This type of dynamic is often one sided and may be signified by unrequited feelings. We think you will enjoy exploring these poems by the writers at My Word Wizard. Deep Romantic Poems: These romantic love poems are perfect for anyone who wants to express the depth of their love with the perfect collection of words. Gangsta Love Poems: You've got attitude and a gangsta style. Let our wordsmiths bring out your romantic side with a poem from our amazing collection. Gangster Sad Poems: A gangster's got feelings beneath that tough exterior. Let them know your feelin' it with a sad poem written especially for gangsters in love. Japanese Love Poetry: Contemporary Japanese poetry is deeply sensuous, tinged with eroticism and flowing in drama. We think you will absolutely adore the work of Japanese poet Daichi Matsui, as he explores the genre of love in this spectacular collection of love poems. Love Poems for Valentines Day: Poetry and Cupid's Day; they seem to go hand-in- hand. What better way to express your love for someone special than with verses of love from the writers at My Word Wizard. Love Sad Poems: A broken romance can be a devastating experience. Along with shattered hopes, there is a sense of loss and bereavement. Even betrayal. The writers at My Word Wizard have all been there. In examining their own painful encounters with love, they offer some heartfelt verses in this touching collection of love poems. More Gangster Romantic Poems: Whether you a thug smitten by cupid's arrow, or you a shortie be luvin' a homie, you will find just the right words to tell yo boo how you feel in this wonderful urban collection from My Word Wizard. Poems for Ghetto Teens: Lovin' in the hood is the real deal. With all you got goin' on, leave time to tell your boo how you feel with a poem from our collection. Poems for Her: If you have deep feelings for her, let her know. The contributors at My Word Wizard have put together a powerful collection Valentines Day Poems of that will inspire you to let her know just how much you care. Poems for Him: Want to say it in a way that will go straight to his heart. Then our poems that express your love for him are right on the mark. More Poems for Him: Our My Word Wizard contributors provide an amazing collection of sentiments that will inspire you to tell him just how you feel. Poems for Valentine's Day: Poetry and Valentine's day; who can think of a better day to express the way you feel with a Valentines Day Poem. Short Cute Poems: Sometimes it doesn't take many words to express how you feel. If you are a person of big feelings, and few words, check out this collection of short cute love Valentines Day Poems. Short Romantic Poems: You are a person of few words, with a huge heart. Express your love and bring your romantic feelings to the surface with one of our shorter, romantic, Valentine's Day poems. Valentine's Day Jokes Poems: When you are looking for more lighthearted Valentine's Day Poems to help you express yourself on this day of love, we have the sentiment just for you. Our humorous verses from the writers at My Word Wizard bring a new twist to Valentines Day Poems and will put a smile to their face, and will even help those of you without a significant other make light of the day. Why I Love You Poem: It takes a special chemistry to bring two people together. Say it in words with a "Why I love You Poem" from our special Valentines Day Poems collection. I Have Searched My Heart. 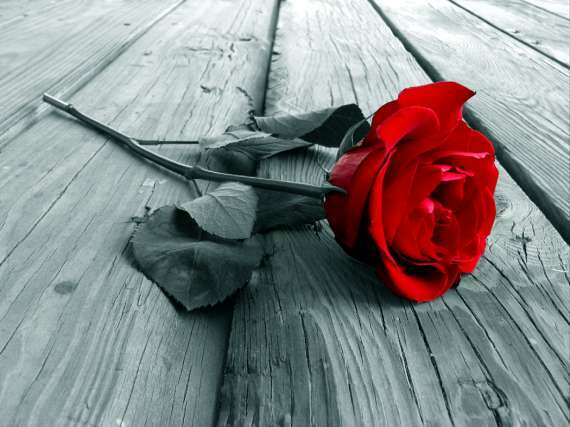 Roses are red Violets are actually not blue But my love for you is definitely true! It doesn't matter where you go in life what you do or how much you have it's who you have beside you.... I'm so glad I love You! Roses are red, Violets are blue, You are my life, I can't lose you. The winter time comes and goes, but my love for you will always grow. Sylph of waking dreams, Evanescence on the morning’s sigh. Longed-for breath, Evening’s exhalation, Felt in the zephyr’s whispering by.